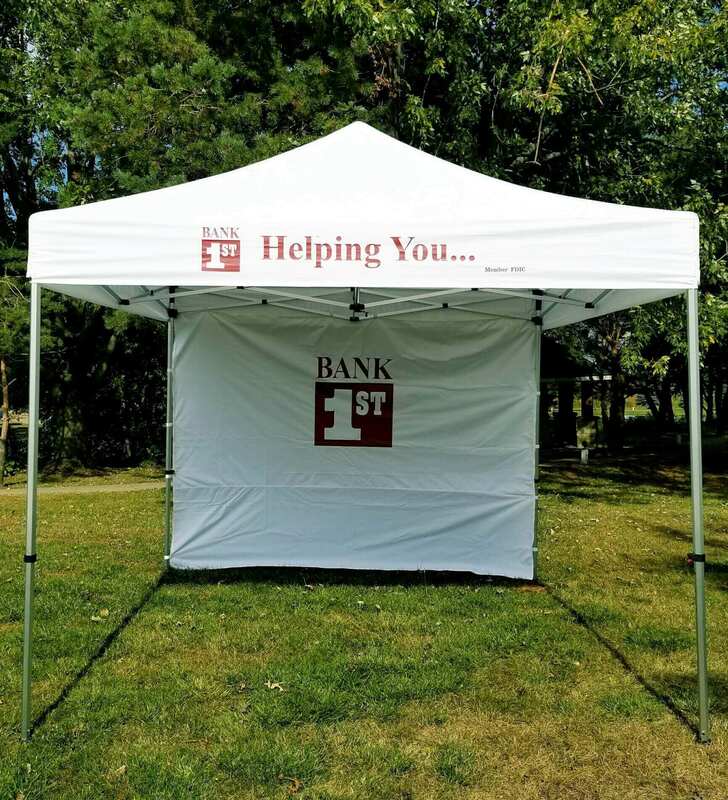 Bank 1st has two canopy/tailgate tents available for our customers to use. How do I reserve the Canopy/Tailgate Tents? Contact a Bank 1st employee and check tent availability. Reserve number of tents and tent walls needed. Stop by the Main Bank and fill out our Canopy/Tailgate Tents Agreement. Pick up the tents you reserved and enjoy!